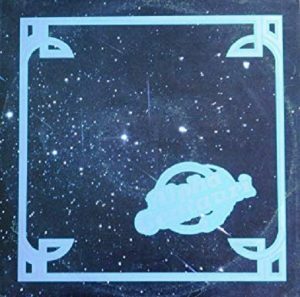 The much hyped 1977 album from Alpha Centauri has at last been exhumed and remastered by the Rock Candy Records’ team. The International Encyclopedia of Hard Rock and Heavy Metal described them as the “world’s best undiscovered pomp band”. Despite the album’s reputation, and birth in the immediate post psychedelic period, there are no trippy overtones to opener, ‘Hard Life’. Not unless you count the 40 second proto-oddity Bowie intro. Setting sail on an ocean of keyboards and swooping bass lines, mainman Jack Redmon’s squealing, rippling lead guitar provides as much of a voice to this powerful piece as do his abrasively soulful vocals. His axe eventually gains the ascendency… the last few minutes of the track demonstrate the hypnotic effect of the continual repetition of a short phrase of music… a descending bass line that provides the perfect backdrop for Redmon’s wailing, elongated axe solo to the close. Thereafter we’re on a switchback ride through CCR’s Bayou Country, closely skirting riffed up Stonesy R&B on ‘One Night At A Time’. Then drifting deep into Uriah heep territory, on ‘I’m A Rebel’, where keys and guitars interweave with hypnotic menace, inevitably surrendering to the full burn ferocity of Jess Redmon’s blazing axework. ‘Earth In Motion’ and ‘Love Is A Curse’ will be everything to all rock fans, mixing up pacey pomp and urgent riffs with Redmon’s breathless, ringing vocals. They didn’t realise it, but with these tracks they were defining Pomp Rock. You could make a case that the band saw their material just as much in terms of drama as in terms of music. Time’s been kind to this album, or maybe we’re just being blasé about the label’s expectedly sympathetic remastering. Stardom may have escaped Alpha Centauri, but this, their one and only recording, secured their legendary status. And you can still hear its influence today. Released by Rock Candy Records, December 2018.